Our philosophy is simple. Make sure children have fun while they are learning. Small group activities will be emphasized. Campers feel more comfortable and learn best when they are a part of an active small group process. Learning about and maintaining the diversity of our Earth, its people, cultures, and traditions will be prominent in the day camp program. Smokey Hollow Day Camp is located in an area that is rich in exploration for children. The children can learn and are prepared to teach others about the role in which they play in our environment and the world in which they observe. We have a significant role to play in the developing positive self-worth and self-esteem among those who attend camp. There may be no greater task than the care we give to the campers who struggle with their self-concept. We will develop a program that challenges each age group appropriately. Teaching cooperation and trust building among youth are very important contributions that a camp can make in the life of a young person. 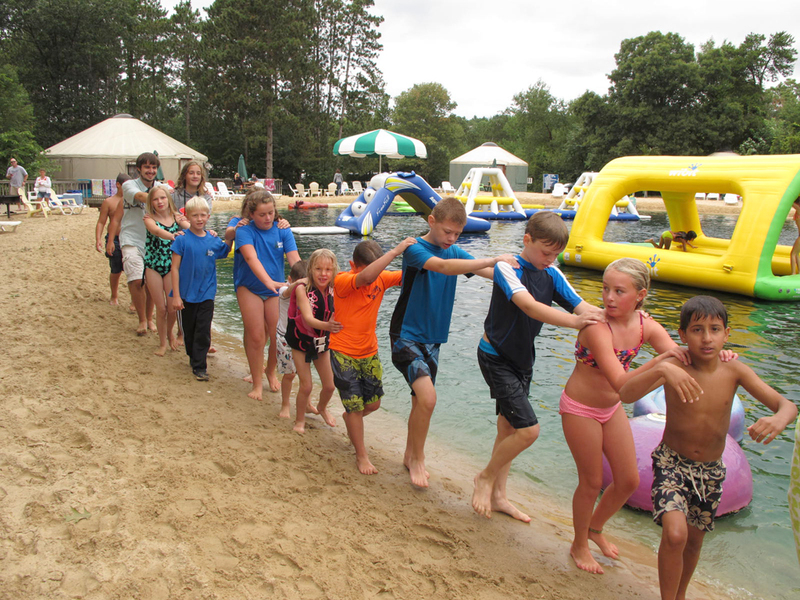 Activities from crafts to swimming need to be carefully designed with the age level of campers in mind. There should be a defined movement throughout the camp program, so that each age group of campers experience different levels of challenge, activity and learning.